The ATOMIC_AGGREGATE is a well-known (discreet ionary attribute use d to notify d ownstream neighbors that pat h i nfonmation for a specific route has ye en lost. This informat ion loss is (caused when more specific paths are aggregated into a less-sperifir path. The ATOMIC_AG GREG ATE attribute is just a flag set in the UPDATE packet that notifies the downstream routers that some path information has been lost during the aggregation. When the ATOMIC_AGGREGATE attribute is set, the downstream routers must not remove the attribute or send a more specific route to that network. 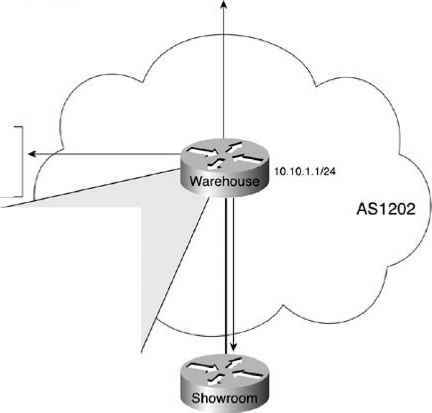 Figure 7-33 shows ae exam we of1 tlen how the ATOMIC_AGGRE GATE att ribute i s used to notify the Showroom router that the Warehouse router aggregated the N l_Rh to network 10.1.0.0/21. 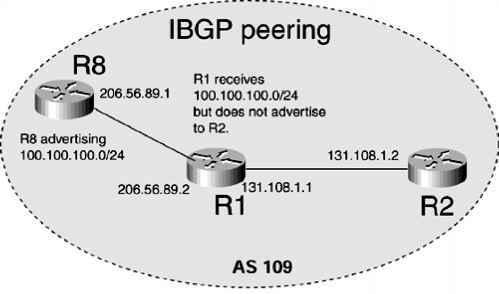 The ATOMIC_AGGREGATE flag is set to notify the Showroom router that it must not send more specific routes to the 10.1.0.0/21 network because path information was lost.